In Kipling’s famous novel ‘Kim’ we follow the adventures of a smart young British orphan living on the streets of Lahore and occasionally working for a Pashtun horse dealer who is actually an operative of British Intelligence. It is him who introduces Kim to the ‘Great Game’ of spy- and tradecraft. The young Kim is trained by a Mr Lurgan, a dealer in jewellry and curiosities, in all sorts of exercises and games, such as memorizing objects and disguising himself etc. 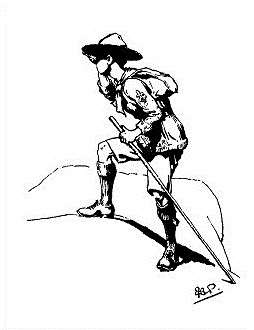 Baden-Powell, the founder of the boy scout movement, refers to ‘Kim’ as a good example for what a boy scout should learn. From my own days as a boy scout, I remember especially one game – ‘Hide and Seek’. In Fall 2008, I used this game as a model to describe the work of intelligence services or to what Kipling refers to as the Great Game. Def. : The task of an intelligence service is to create informational advantages relative to adversaries through disguising information about itself (called here Hide stragey) and uncovering information about the others (called here Seek strategy) to serve national interests. Given the above definition of an intelligence service’s tasks of hiding and seeking to gain informational advantages over adversaries, it remains open how Hide and Seek can actually serve national interests. In a world with equally distributed but limited resources, players have an incentive to maximize their resources. Therefore, an equal distribution is no Nash-equilibrium and players engage in an inefficient (according to the Pareto principle) fight over limited resources. Assuming that nations are players and resources are of national interest, information about access to resources are of national interest, too. Thus, there is also a rivalry regarding information – players are playing Hide and Seek. An interesting aspect of this game is that the two strategies Hide and Seek can be contradicting. For example, an intelligence service’s intentions may be revealed through its own reconnaissance activities. Then Seek would undermine Hide. Conversely, an unbalanced shielding towards the public can derrogate one’s collection and analysis. This shows that an optimal balance of both strategies is crucial. Especially because both strategies can be applied in a way that they support each other. A better reconnaissance can be used to improve camouflage and covert operations can secure lines of communication. 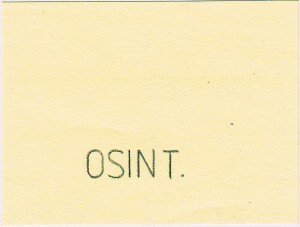 It remains to explain how OSINT can contribute to the above. The most obvious contribution of OSINT is with regard to the Seek strategy. Information gained using open sources and means today can be of high relevance to intelligence requirements and does often represent the bulk of intelligence input. Nevertheless, the basic principle is to include all relevant information across all sources and means – not just open information – within legal boundaries in the intelligence production process. 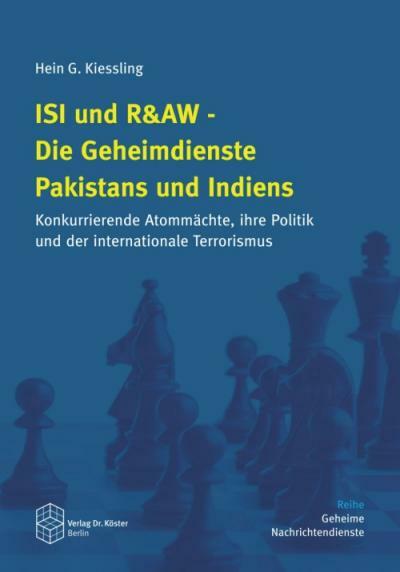 Due to numerous asymmetric, dynamic and geographically not clearly limitable threats, intelligence has to be more efficient, that is faster, broader and more precise. At the same time, open sources and means to exploit potentially useful information are growing quickly. Sorting out noise and gaining the actual relevant bites is becoming more and more difficult. However, social, economic, cultural and political background information often comes best from open sources and can be accessed with open means. At least, open information (OSINF) can provice much of the needed information to put clandestine information (SECINF) in the right context. The fact that much of the expertise with relevance for intelligence requirememts can not be found within intelligence communities but rather within the public poses both a chance and a challenge to integrate this external knowledge into the intelligence production process. Especially at the lowest classification levels a maximum of knowledge transfer can be practiced while respecting the necessary safeguarding. Intelligence services should be at least as informed as the public and need to adapt to the evolution of public knowledge to actually know more than the others. The inclusion of public knowledge and hence a partial opening of the intelligence enterprise fosters a transparency which is often called for by critics, and it can increase the trust of people towards the state. In total, OSINT can have an immense positive impact on the Seek strategy. Less obvious, though not less eminent, is the contribution of OSINT to the Hide strategy. A certain transparency regarding the intelligence production’s underlying methods and sources as well as its results can increase intelligence services credibility. This credibility can be used to deceive adversaries. Ignoring moral and legal aspects at this point, this can also be used to lull the public in security while controversial but unavoidable activities can be carried out covertly. In addition, OSINF can support the protection of sources when used to justify conclusions which may in fact be drawn from confidential and therefore unmentioned sources. Based on the generated credibility described above, OSINT can make directed disinformation to deceive adversaries more effective. If authorities become talkative about some events (e.g. about the current hunt for certain terrorists which are meant to be mislead by that) all of a sudden, and have never provided much information about anything ever before, one has reason to be sceptical about their true intentions. Another advantage of more transparency and credibility of intelligence enterprises is a possibly greater understanding and sympathy in case of intelligence failures. If people have the impression that intelligence services are doing a good job and are actually better informed than the public, failures of the intelligence apparatus will supposedly cause less uproar. Like that, services will become less vulnerable, which paradoxically fulfills the aim of the Hide strategy through more transparency. Nevertheless, it is essential to make sure that adversaries do not undermine one’s own Hide strategy and not to reveal confidential information through the partial opening towards the public as well as not to be mislead by disinformation of the others. 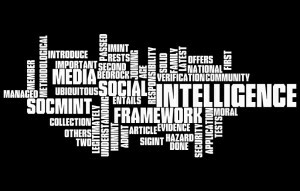 OSINT needs to be applied in a way that tradecraft becomes more credible and efficient without revealing anything to adversaries if not intended. That way, OSINT can contribute to create covert and discretionary scope of action for intelligence services. This was written by Jan Störger. Posted on Wednesday, October 3, 2012, at 10:21. Filed under General. Bookmark the permalink. Follow comments here with the RSS feed. Trackbacks are closed, but you can post a comment.